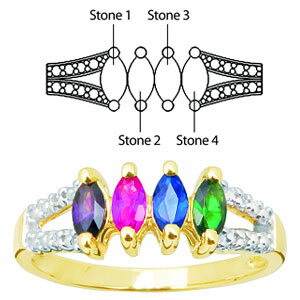 The 10kt yellow gold Glimmer ring has four genuine marquise gemstones set with fiery white accents. Each prong set marquise stone is 5mm x 2.5mm. Each round accent stone is 1mm in diameter. Import.